Over the years peaceful gestures made by the North Korean regime with respect to its nuclear program have not been particularly reliable. As recently as 2012, Pyongyang pledged to place a moratorium on nuclear and missile testing in exchange for food aid. 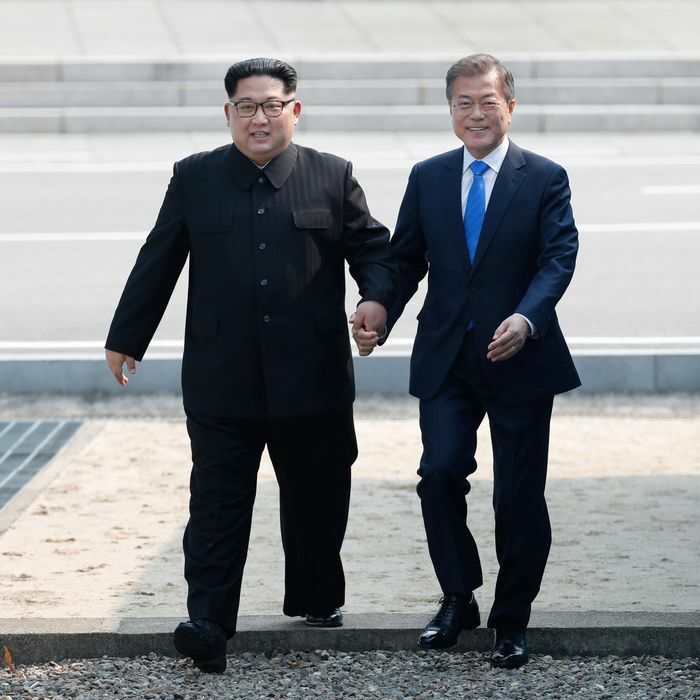 So the promises made by Kim Jong-un to South Korean president Moon Jae-in last month to initiate concrete steps toward denuclearization aren’t exactly carved in stone. Some key facilities remain intact and the tunnel entrances remain open, however. The authors speculate that may be because they’ll be blown up in front of members of the international media later this month. North Korea’s Foreign Ministry announced over the weekend it would invite journalists to watch the site’s shuttering as early as May 23. [I]t’s also possible North Korea no longer needs the site. After a half dozen tests over a period of more than a decade, some experts believe that Pyongyang is far enough along in its nuclear weapons development that it no longer has to detonate bombs underground to move its program along. Still, verified action to redeem specific North Korean promises is a rare and positive thing, and part of what some have called a “charm offensive” by Kim Jong-un in advance of his June 12 meeting in Singapore with Donald Trump. We should all hope that Trump knows enough to avoid the temptation of believing at this early juncture that he’s turned around the entire situation on the Korean peninsula. 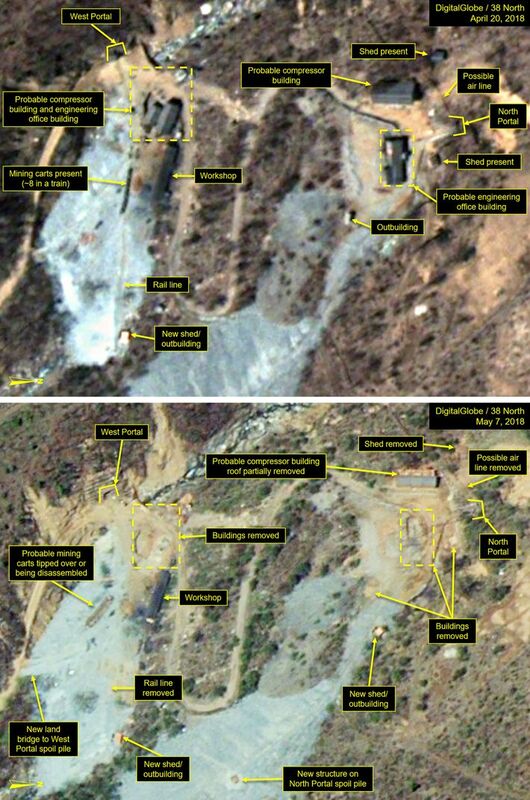 The photos from Punggye-ri are consistent with a happy outcome of negotiations, but hardly a guarantee.